What is your music discovery process like? Is your experience with music influenced by how you come across it? Music finds me on YouTube, Bandcamp, or when somebody posts a link on their Facebook timeline that I feel compelled to hear. The compulsion is as much a part of how I experience music as nostalgia or sentimentality. There's the kind of thing everyone feels when they say, “I remember this song from when I was a kid.” We can feel that no matter what we think of the music, or how it makes us feel. How the music makes me feel is paramount. But how I fell in love with that music does influence my experience with it. I guess it's like how the story of falling in love with someone affects your relationship with that person. Ambient music has seen a sharp rise in popularity over the past couple years, to the point where there was a headline in The Guardian a couple months ago calling it “one of the sounds of the summer.” Do you think there’s a risk of it becoming commodified, corporatized and branded? I think it was commodified a long time ago. Chain stores like Walmart still stock CDs that promise the listener inner peace, a good night's sleep, or the ultimate in relaxation. There are some great ambient albums awaiting you near the greeting cards, picture frames and candles of your favorite department store. The thing is, I could play songs from these albums in a mix with some from the current ambient underground tape scene and you might not notice. How would you characterize your environment in Wisconsin? Do you feel the landscape finds its way into your compositions? Green in the spring, golden brown in the summer, white in the winter. Fall is a burst of reds, oranges and yellows. There are lakes, trees, rivers, hills, marshes. Forests and farmlands are being slowly replaced by strip malls and subdivisions, but there are nature preserves. The natural environment is crucial to my music, and I have often included field recordings of my favorite areas into my compositions. I'm running out of spots to get good recordings of the sounds of the nature. It seems the traffic sounds are growing louder, interrupting the birds, streams and lake tide. 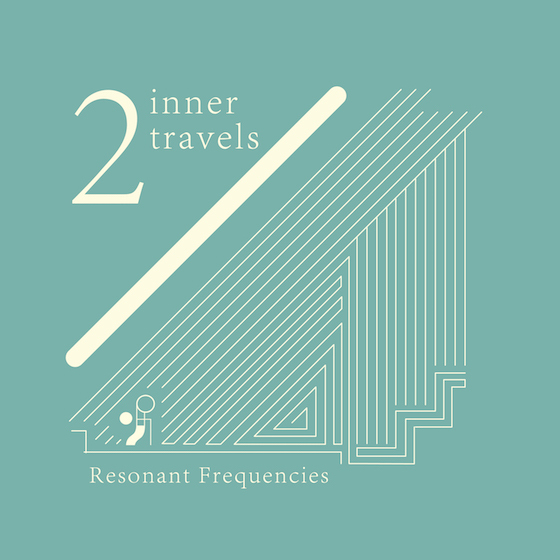 This mix runs the gamut of rhythmic and open-meter compositions. Do you personally prefer working in one over the other? Nice observation! I have been trying to create more open-meter compositions recently. Although I don’t use drum beats too often, rhythm is more important to most of my songs than some may realize. It’s easier to work with rhythm, as you can build on it and float melodies into the spaces. But I have become increasingly drawn to music that exists outside of time and makes itself up as it goes along. For you, what is it in a sound or production that invokes an altered state or transcendent experience? Although I've always been drawn to synthesizers, the most transcendent experience I had with sound occurred last year at a New Age shop. Someone was demonstrating the sound of two very large crystal singing bowls. They were like small ivory cauldrons. She rubbed a wand around the rim of one bowl, which sang at a low frequency. The vibrations caused the other bowl to sing, too, and I felt pressure grow the center of my forehead. It wasn't an uncomfortable sensation, as with it came an almost overwhelming sense of euphoria and peace. Someone else in the shop said he felt pressure in his forehead, too. The person playing the bowls said it was because the third eye chakra was being stimulated. It was amazing! The euphoria seemed to last quite a while, maybe a couple hours. As part of our mix series, we ask our contributors to choose one charity they’d like to shine a light on. Do you have a cause you’d like to let others know of? Help your local food pantries. If there are pantries or other charitable organizations in your community, there must be a need for them. Where I live, donations fund the pantries and other operations to help the hungry, those who need clothes and shelter. The people who work at pantries in your area might be volunteers, like they are in mine. The people who depend on these pantries could be your neighbors.